Free*Style: A Sponsor Gift for you! 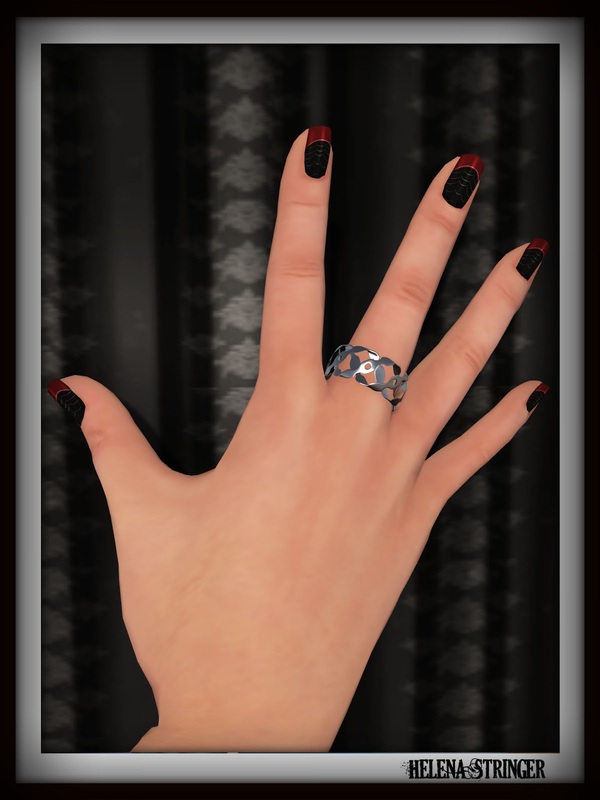 The ring is unisex, is set to your right hand, but you can easily copy it, and move it around. I decided since I was gong to be showing the ring, I might as well find you some nails to go along with it. La Boheme always has a few hunts going on, and October doesn't disappoint. This is just one of the offerings for the Good Reads Hunt, there is another set included, and each have various colourations all packed onto a hud. This hunt is free, a few of the other ones currently at the store are L$2 and L$4. TP to La Boheme to get started. There is a Hint list in the jack-o-lantern, if you get stuck.